Cruises on the Milford and/or Douibtful Sounds will surely be one of the highlights of your visit to Fiordland. Both daytime and overnight cruises are available. There are about 6 or 7 Cruise companies in Milford Sound. The largest operator of cruises is Real Journeys whilst smaller and more personalised cruises are offered by Mitre Peak Cruises, Red Boats, Cruise Milford and a few others. Within Milford Sound, you can also view the Underwater Observatory and in both Sounds, you can experience kayaking (see below). The departure point for Milford Sound cruises is 2 hours drive from Te Anau Lodge along the incredible Milford Highway, whilst Doubtful Sound cruises depart from Lake Manapouri, 30 minutes drive from the Lodge. Pick-up options to the Sounds, from the Lodge are available for those who prefer not to drive. Join an elegant Lake Te Anau Cruise aboard a historic sailing ship while exploring the Fiordland National Park. Sail across half a century and magnificent Lake Te Anau to mystical discoveries in middle and south Fjords with the Faith in Fiordland. Real Journeys also offers trips across Lake Te anau to visit the fascinating Glowworm Caves. Experience a mysterious underground world of rushing water before drifting in silent darkness beneath the luminous shimmer of hundreds of glowworms. Wings and Water operate a floatplane which departs from and lands on Lake Te Anau. Fly Fiordland offers ‘flights to remember’ departing from the airstrip near Te Anau, such as Milford Sound Fly-Cruise-Fly and Doubtful Sound overfly. Several Companies also offer scenic helicopter trips out of Te Anau. Fiordland Helicopters, creators of the highly acclaimed Ata Whenua (see below), offer trips retracing the flight taken in the movie. Southern Lakes Helicopters also offer a variety of flight options, including a Scenic Te Anau, Mt Luxmore heli-hike, Doubtful/Dusky Sounds, Lord of the Rings locations. A highlight of your stay at Te Anau Lodge is pick-up and drop-off from our garden. A trip to Te Anau is not complete without a visit to Fiordland Cinema to see the amazing cinematic journey that is Ata Whenua. Ata Whenua – Shadowland brings you the Fiordland Wilderness you would otherwise never see. Mysterious, evocative, exhilarating and utterly spectacular. Fiordland Jet operates jetboat tours on the beautiful Upper Waiau River which flows between Lake Te Anau and Lake Manapouri. Their exhilarating and informative tours allow you to view 3 actual Lord of the Rings film locations of the ‘River Anduin’ and will take you out onto beautiful Lake Manapouri to view the lake and magnificient snow-capped mountains. 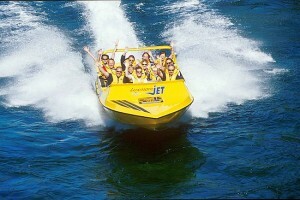 Jetboat and Heli option available up to Jackson Peaks on the Kepler Mountain Range. Te Anau is the gateway to Fiordland National Park, home of the Milford, Kepler and Routeburn Tracks. These can be done indepnedantly or guided. These are multi-day tracks. For more information on guided walks see Ultimate Hikes. For shorter day trips you may wish to consider Trips and Tramps who offer a variety of walks some of which can be combined with a Milford Sound Cruise. There are also many day walks close by and also leaving from Lake Te Anau. We will be happy to point you in the direction of some favourite walks in the area. Spectacular Sea Kayaking is available on both Milford and Doubtful Sounds. In Milford Sound, Rosco’s Milford Kayaks, Go Orange and Southern Discoveries and, in Doubtful Sound Fiordland Adventure and Go Orange are local companies offering kayaking trips. Kayaking Trips range from a 1 hour taster to half and full-day trips. Sometimes, there is the option of kayaking on the Overnight Milford and Doubtful Sound Tours. Fiordland attracts Fishing Anglers world-wide. The Waiau River is truly one-of-a-kind. Teeming with Brown and Rainbow Trout and bordering Fiordland National Park, the Waiau combines low fishing pressure with extraordinary Mayfly hatches for a fly fishing experience that’s truly world class. Fiordland fly fishing is back-country, remote with stunning landscapes. Gin-clear water offering up outstanding sight fishing for mountain river bred Brown and Rainbow Trout. 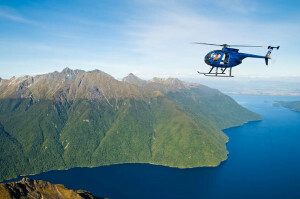 Helicopter or water taxi into Fiordland National Park and access these exceptional and un-pressured fishing locations. We are able to direct you to nearby fishing spots or alternatively organise an expert guide to take you to some of the more ‘hidden’ spots. 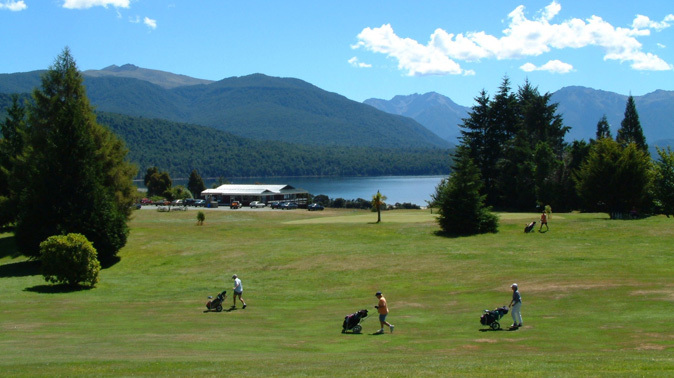 Te Anau Golf Course (5582 metres) provides magnificent lake views approximately 5 kms from Te Anau. There are green fees for all visitors and NZ affiliated members and, cart and club hire are available at this stunning Golf Course. The Te Anau area and Fiordland National Park are a haven for bird watchers. 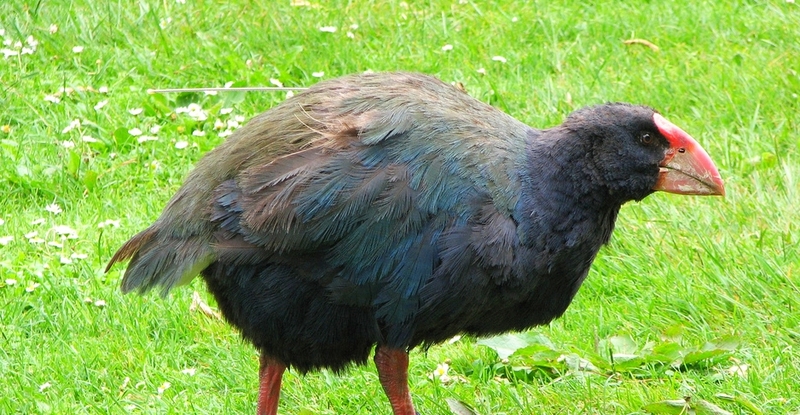 Fiordland is home to several threatened native species including the Takahe – a flightless alpine bird long thought extinct until rediscovery in the late 1940s. The nearby Eglinton Valley is a strong hold for Yellow-Crowned Parakeets, Yellowheads (Mohua) and long-tailed bats. Brown Teal, Blue Duck and Southern Crested Grebes are found on Fiordland lakes and streams. Visitors are also likely to see common forest birds like Tomtits, Brown Creepers, Grey Warblers, Fantails, Tuis, Bellbirds and Wood pigeons. The cheeky mountain parrot, the Kea, is a regular entertainer at high altitudes.